Whether it’s embracing the homeless, uplifting the abused or abandoned, training and mentoring the disadvantaged, providing character building programs for youth, or assisting the displaced or elderly, The Salvation Army's goal remains the same: serving the most people, meeting the most needs, DOING THE MOST GOOD! When you donate to The Salvation Army, expect change. Change in the number of teens finding mentors and staying in school. Change in the lives of people devastated by fire and flooding. Change in the violence plaguing our neighborhoods. Change in the lives of families torn apart by drug and alcohol addiction. 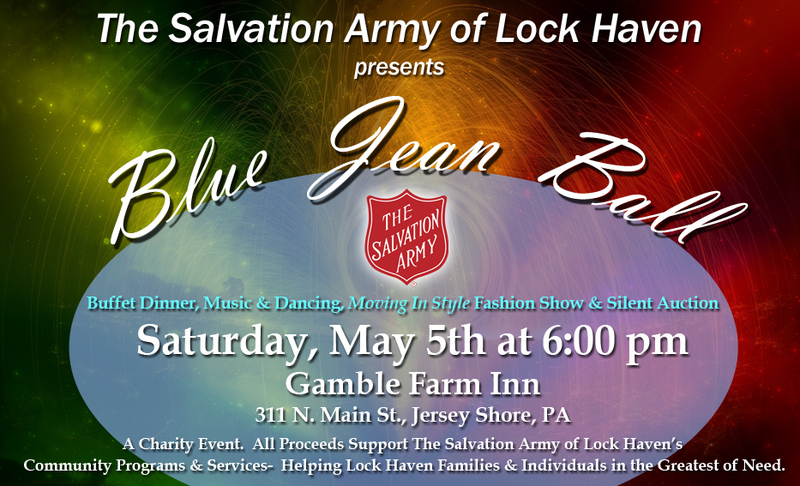 By addressing the whole person – physically, emotionally and spiritually - The Salvation Army of Lock Haven offers hope and creates change.